I was getting ready to go teach my news reporting and writing class on September 12, 2013 when I received an ominous text message from a family friend. The text said I needed to hear a crucially important piece of information, but only if I was home. I immediately sensed that something tragic had happened. I called the family friend at once and told her I won’t be home until at least two hours from the time we were talking, and insisted that she tell me the crucially important information. 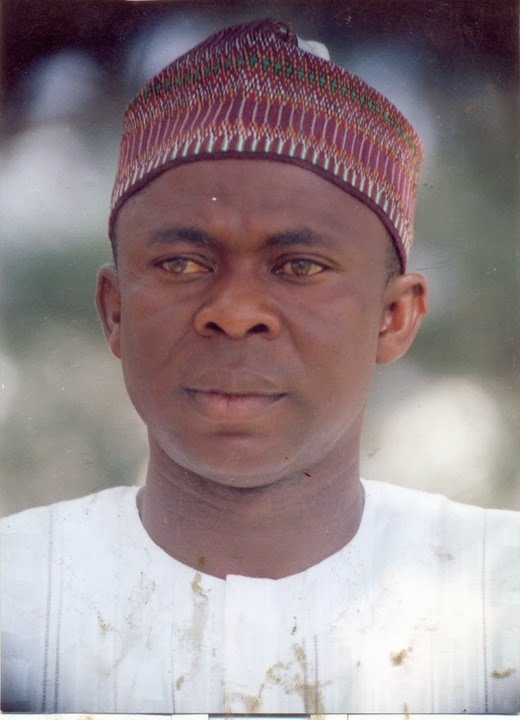 After a lot of hesitation, she said Malam Salihu Okino, the husband of Hajia Zainab Okino, Blueprint Newspaper’s Executive Editor, had just died a few minutes earlier. I was devastated and deflated beyond description. Hajia Zainab isn’t just my former colleague and boss at Weekly Trust; she has become my close family friend, “sister,” and confidante. Hard as I tried to conceal it, my students told me I looked noticeably overwrought with grief. “Are you all right, professor? We’ve never seen you look this worried,” they said. Their concerns compelled me to tell them that I had just been informed of the death of a very close family friend who was, for all practical purposes, my brother; a man who was one of my strongest emotional props when I lost my wife to a car crash three years ago; a man whose selflessness, kindness, gentleness, patience, generosity, and complaisance were inexpressibly boundless; a man whose whole life was defined by his compulsive urge to help others, who was sometimes too be self-sacrificing to the point of self-neglect; a man who seemed to derive the most joy when other people had successes and triumphs. The class went quiet for a while. Then students who were so inclined prayed for the repose of his soul. Others consoled me. Still others suggested that I cancel class. I thanked them for their concern and empathy and continued with my class. Malam Salihu was a truly exceptional human being. I have never met a person more mild-mannered, more even-tempered, and more kindhearted than him in my entire life. His tragic and premature death has diminished our collective humanity. By his death, the world has lost one of the purest hearts, one of cleanest hands, and one of kindest souls that ever walked mother earth. And this is not the extravagant exaggeration typical of eulogies. Although he was unsung while he was alive, no one who ever had a reason to relate to him failed to notice the utmost depth of his humanity and the unmatched richness of the milk of compassion that flowed in his veins. Even my 9-year-old daughter remembered him as “one man who really and truly loved me” when I told her of his death. She was as crestfallen as I was. Malam Salihu’s genuineness was so apparent, so tangible that even children couldn’t help but notice it. I first met Malam Salihu in 1998 when I was as a reporter at Weekly Trust. He worked at the Kaduna Polytechnic and used to come to our head office in Kaduna to pick up his wife, who was our production editor at the time. I recall being struck by the man’s humility and pleasantness the first time I spoke with him. It felt like I had known him all my life—the same way that his wife felt like the older sister I never had the first time I met her. A few days after our encounter, he started calling me “Doctor.” It was the name he called me until he died on September 12. I once asked Hajia Zainab why her husband called me “Doctor” when I was neither a medical doctor nor a Ph.D., and she said it was a measure of his respect for me. I was humbled. When I successfully defended my doctoral dissertation some years back, he was one of the first people I told. “The Americans are late; as far I am concerned, you’ve always been a doctor,” he said. I was even more humbled. If someone asked me to summarize the personal philosophy that guided Malam Salihu’s life, I would say it was: “others before me.” He had not the littlest drop of selfishness in his blood. He always sacrificed his personal convenience for the comfort of others, including total strangers. That was what gave him his kicks. I feel sad that I am writing this only after his death. I used to tell Hajia Zainab (whom my own mother likes to call “your older sister from another mother”) that her husband’s uncommon generosity and selflessness were worthy of celebration. 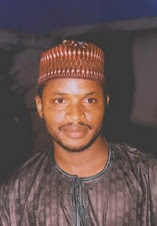 In line with my philosophy that exceptional but unknown people should be celebrated while they are alive—not when they are dead—I had had it in mind to write a profile of Malam Salihu and chronicle anecdotes of his altruism both from my own experiential data and from the testimonies of people who related to him. But he died too soon. He died before I even had a chance to say one last hello to him. A day before Malam Salihu’s death, I called Hajia Zainab who sounded unusually withdrawn and disinclined to talk. “Are you at a meeting or something? Should I call back?” I asked. It was then she told me she was in the hospital with her husband. She assured me that his condition was improving. I asked if he was fit enough to talk to me, and she answered in the affirmative, but said he was sleeping at the time and that I should call back the following day. I had actually planned on calling him briefly before going to teach my class when I got the message that he had died. But our consolation is that, as I said on my Facebook timeline, he lived a decent, moral, admirable, and praiseworthy life. You can’t say that of most people even in death. May Malam Salihu’s soul rest in peace, and may his wife, children, mother, and other family members have the strength to cope with this excruciatingly irretrievable loss.